A white shirt is the most versatile clothing item that you can own. Worn and styled in various ways, you can depend on it every time. Been in style for long now, the shirt dress is the perfect go- to option. You can also wear an oversized men’s shirt and put on a belt around the smallest part of your waist. The belt can be of any colour or print which would help break the whiteness of the outfit. A super comfortable attire, it doesn’t compromise on style in any way. You can also wear big loops to add a little colour to this look. Slip into a pair of casual sneakers or sports shoes and rock this casual yet chic look. This is a look which can never go out of style and you can rock it at several occasions. 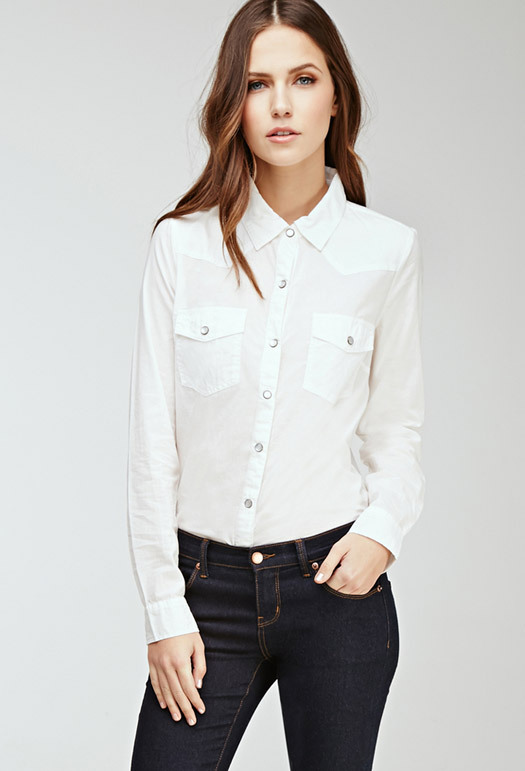 Tuck in your white shirt neatly in your blue high waist jeans bottoms. Your denims can either be skinny or flared. You can put on a pair of heels or sneakers depending where you’re heading to. You can also wear the shirt with a denim skirt or shorts. Complete this look with your favourite sunnies and a cap. Wear your white shirt unbuttoned over a strappy top and bottoms of your choice. You can also wear it over a printed maxi or a summer dress. Put on a pair of sneakers if you want to keep it casual. Otherwise, slip into a pair of wedges or strappy sandals. The shirt can also be worn under a slip on dress or a noodle strap top. Be bold in your style and wear a statement necklace. A white shirt can never clash with other colours or prints so you don’t have to hold back. Accessorise to funk up your look and flaunt your style away. A white shirt is a must have for a working woman. You can tuck it in formal pants and put on a blazer to look sophisticated. You can also wear the shirt with a pencil skirt, tie your hair neatly in a bun, put on some comfortable heels for a proper working- girl look. Interestingly, these outfits can be created with a single white shirt. Wear a corset over your white shirt for an edgy outfit. This is perfect if you want to show off a smaller waist and a pushed up bust line. You can either wear a under bust or over the bust corset. Make sure the white shirt is bright and not faded. The hemline of the shirt should also not be too short or long. The length should be just enough to tuck in your bottoms. You can go for leather pants, high heels and a studded sling bag. Don’t forget to pack up your shirt the next time you’re heading to the beach. You can put it over your swim wear or tie its arms around your waist. You can also tie the lower front end up to flaunt your stomach. Team it up with a pair of printed shorts, put on a pair of comfy flip flops, sunnies and a straw hat. If you dig the vintage look, wear your white shirt with a high- waist flared skirt or bell- bottom pants. Wrap a scarf around the head for the perfect retro attire. Pick your favourite look fused with confidence and you’re ready to go. There’s an app for everything these days, and as sensible fashion and beauty lovers, we feel obligated to learn everything about those that serve us best in that department. Here are three retail-related apps that have the potential to save you oodles and oodles of cash. Everyone loves a good dupe (beauty-speak for identical products), especially when that means you can save heaps of money at the end of the day. One area of the beauty world where price doesn’t always correlate with quality is nail polish, where prices for a single polish can be as much as $50 a pop. And seriously, if Essie and Bourjois polishes were good enough for Princess Kate’s wedding day, drugstore polish is good enough for the rest of us. 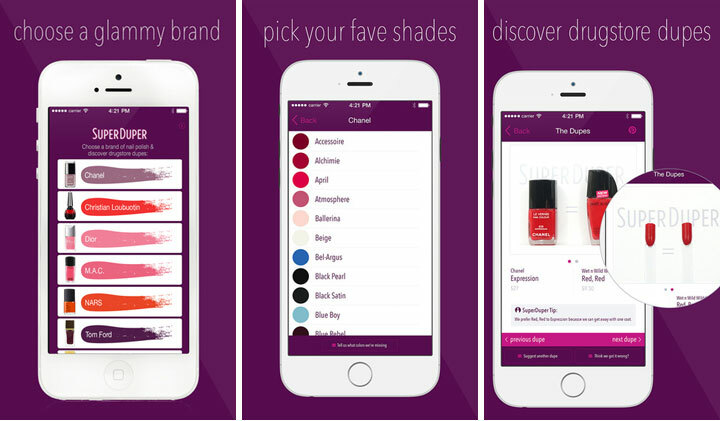 Enter new app “SuperDuper”, available on iOS for free, which reveals the best, most accurate dupes for high end polishes. It reveals the best, under $10, “dupes” for luxe designer nail polishes from Chanel, MAC, Christian Louboutin, Dior, NARS, Tom Ford, and YSL. 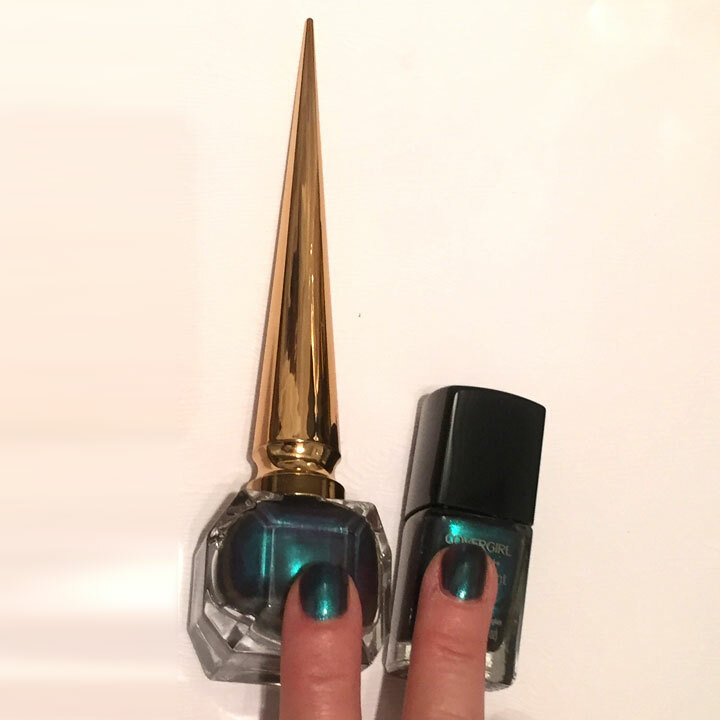 Skeptical at first, we tested SuperDuper’s dupe for Christian Louboutin’s limited edition Scarabée II that comes with a heart-wrenching $50 price tag. The winning dupe? Covergirl’s Teal on Fire, which costs $45 less was an exact match. We appreciate that the SuperDuper team tests every potential match on nails that take a typical beating and only accept true color and quality matches. You’ll find many more dupes on the app, and with fall officially here, we can’t wait to check out their subs for Tom Ford Plum Noir, the classic Dior Rouge, and the ever-popular Chanel Particuliere. Let’s say you’re standing in the drugstore aisle, or you’re salivating over the products at Sephora or Ulta. Maybe you’re torn between two different items, or maybe you’re trying to determine if a splurge is worth it. 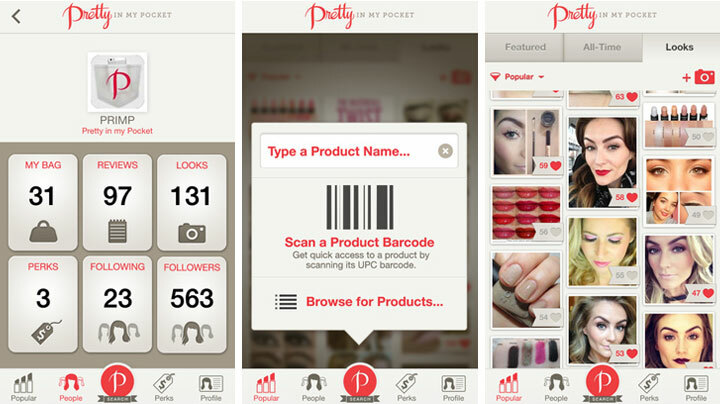 The Pretty In My Pocket app is here to help. Simple take the product, or products, up for potential purchase and scan their barcode. You’ll instantly see loads of product reviews and even swatches from other app users, which includes some notable beauty bloggers. From there, you can read the pros and cons and determine whether the product is a slam dunk or a womp womp. You’ll save money on products that would have left you wanting. And hey, that’s money you can spend on products that’ll actually serve you well. We can totally get behind that. One of the worst feelings in the world is finally throwing your cash down on an item you’ve been watching, only to check back days or weeks later to see that it went on sale. Insert angry fists shaking at the sky. Or what about those products you buy that get recalled. In those cases, you may not even realize there was a recall, causing you to use either a subpar product and/or lose out on a refund. The Slice app aims to calm your mind. It creates a protected database of all your receipts and product purchases. 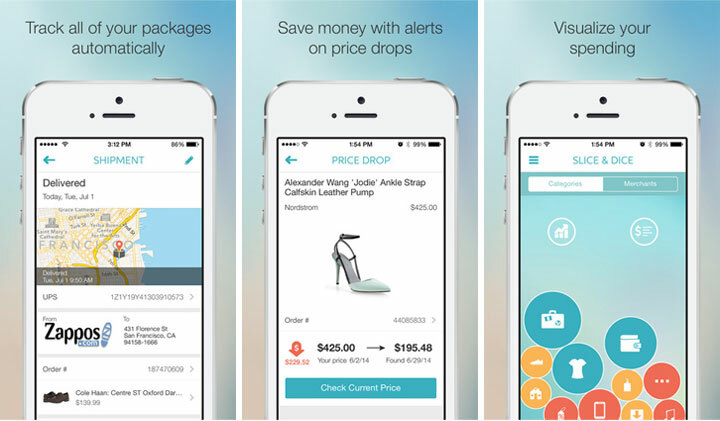 First, the app tracks your purchases as they’re shipped to your door, sending you notifications. Most importantly, though, they send you friendly, informative alerts if a recent purchase has undergone a price adjustment or was recalled. The best part is that you don’t have to do anything — the app does the “haggling” with the retailer for you. This, of course, means savings for you, and all without requiring an extra mental energy. Other things the app does: streamlines returns, frees up your inbox and tracks your spending (we could all use a little bit of this). 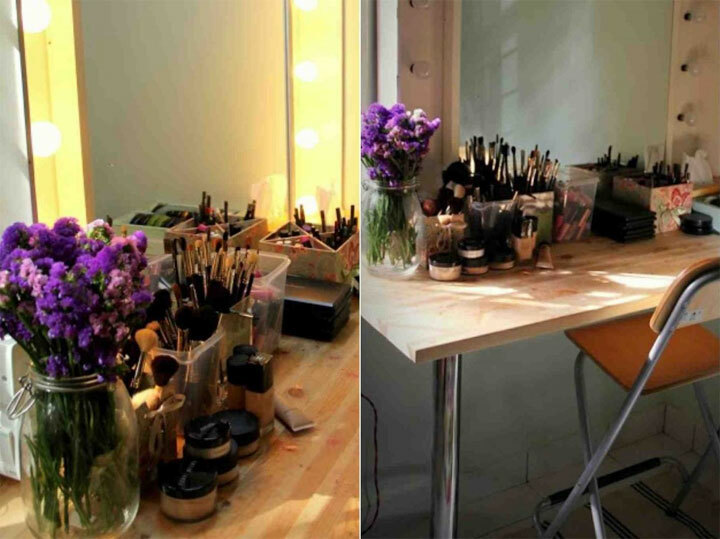 Beauty battle stations, for those of you unaware, are a cheeky term for your everyday vanity. Each has a desk, or some sort of storage space, a mirror, and then a chair. These can all be customized to your liking, of course, and you can even add fancy lighting around the mirror, or go crazy with your organizational skills. The goal is to not only have a beautiful place to pamper yourself, but a place to store and keep track of all your beauty essentials. Now, the word “battle station” conjures up thoughts of massive spaces, but that doesn’t have to be the case. 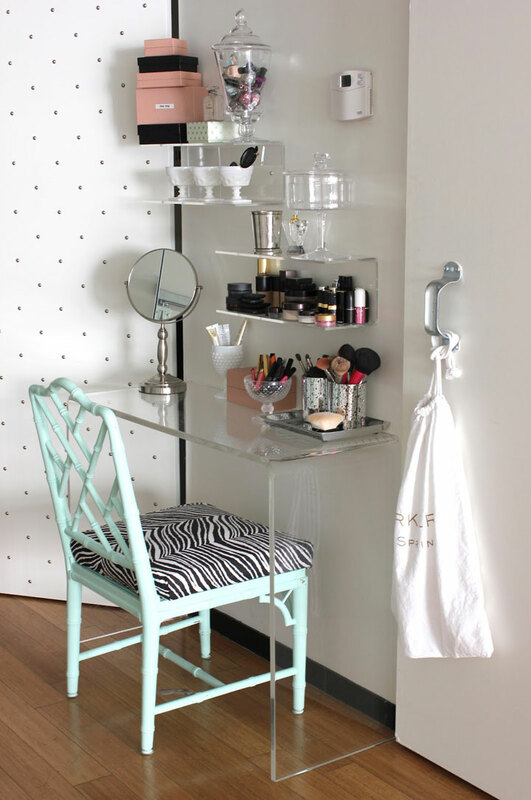 Even if you live in the tiniest room in the tiniest apartment in NYC, you can have your very own beauty battle station. The key, you see, is to use your space wisely. 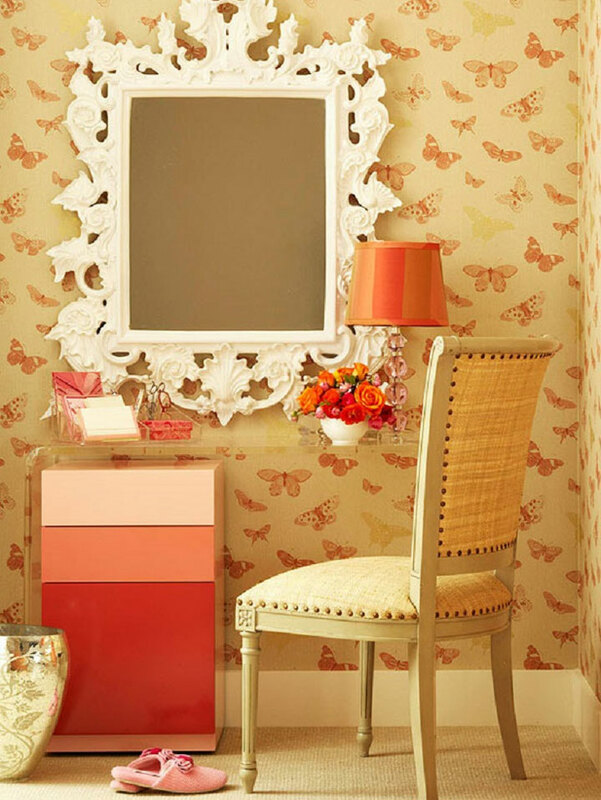 Here are 7 petite vanities to inspire your own. We love the soft wood grain and myriad buckets in this beauty battle station. The fact that the mirror is on the wall instead of the table itself will save you space, too. The mirror is what brings this entire vanity together. The glass table is long enough to accommodate for storage underneath. You can find your own wood, or faux wood, drawers and then paint the face to match your decor scheme. 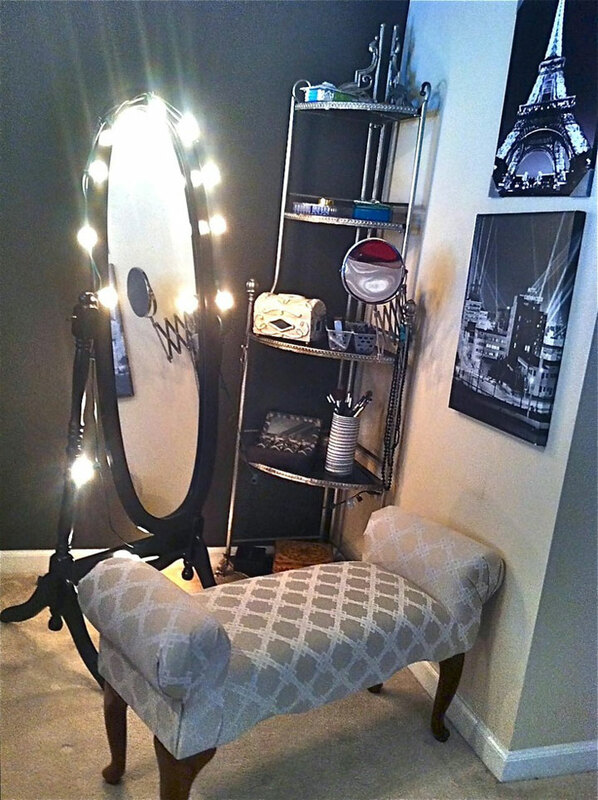 Create both a sitting space and a vanity corner with a settee and full length mirror. You’ll be able to sit facing the mirror when applying makeup, and facing away when talking with company. The corner unit is a great way to add more shelving in a small space, as well. This arrangement takes up hardly any space at all. There’s a space on the wall for the chair to hang, plus the floating desk is narrow and modern-looking. Add another shelf above the desk that’s slightly more shallow, then adhere your mirror to the wall. This setup features layered acrylic shelving, a narrow desk and a dressed up chair. Instead of a large mirror, it uses a short, standing mirror. This one could even fit into a closet. This one’s for the minimalist who loves a modern aesthetic. 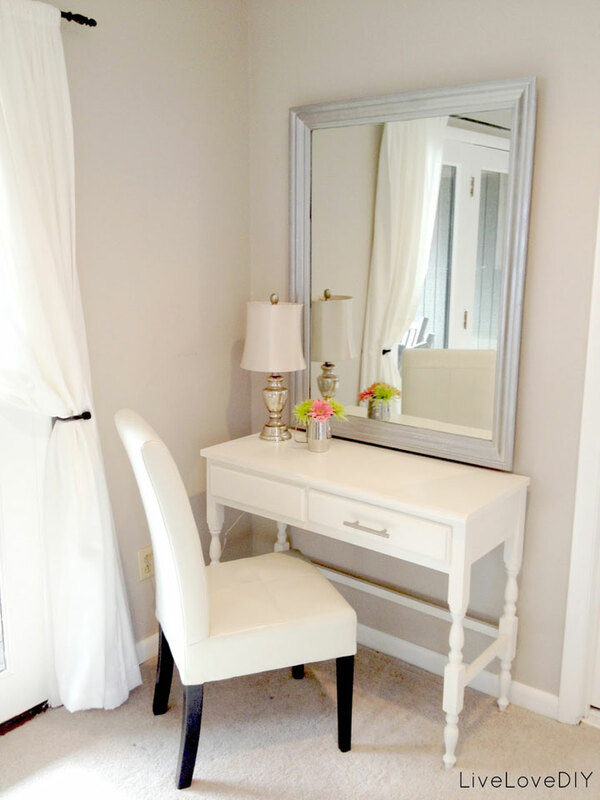 The mirror is straightforward and clean, the petite thrifted desk has been painted white, and the chair is unfussy. 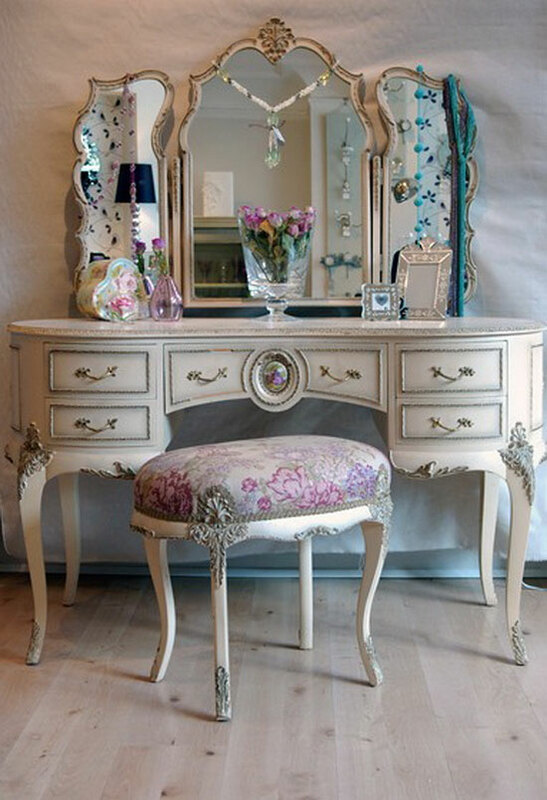 If you prefer something more ornate, opt for a vintage vanity. You can go wild when repainting it, too, which makes for a fun project and a prettier space. There are so many vintage vanities to choose from out there (try your local thrift store), and many come with plenty of built-in storage.